« Furnace Problems: What Are Some Red Flags? The benefits of a ductless mini-split heat pump are pretty astounding. So why are furnaces and central air conditioners still more popular in our country? One factor is because most homes already have duct systems in place. It makes more sense economically to just keep using ducted units. However, making the leap to ductless comes with several benefits. For the right homeowner, ductless could be what they’ve needed all along. 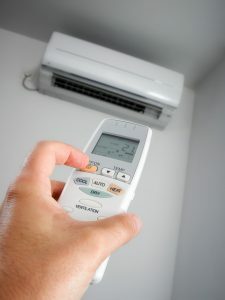 Going ductless in Southern Vermont, VT isn’t always the perfect solution either, of course, so we’ll help you weigh it out with some of the pros and cons. Zone control is the practice of splitting your home into sections so that they can be heated or cooled individually. For example, you may prefer to have your upstairs bedroom at one temperature and section of the downstairs to be something else completely. For a central AC or furnace, zone control needs to be installed at the same time as the ducts. For many homeowners, they may not have had this option or been aware of it. A ductless system—in the very principle of its design—is already a zone control system, allowing you to control each air handler with an individual set of controls. Ducts don’t get leaks in them every day, but they do happen in older systems. And it is significant. Nearly 30% of your energy can be lost due to a leak in the ducts. That means you’ll need to have your ducts tested, sealed, or possibly replaced. You can skip that entirely by going ductless. Have you ever wanted air conditioning or heating just in your garage? Or maybe you’ve just added an addition to your home and you’ve realized that extending the ductwork is unfeasible. Ductless heat pumps give you the flexibility you need in these situations. Whatever your needs are, you can opt for as little as one unit or one for each room. Many indoor air quality products are made for use with duct systems. For example, whole-house dehumidifiers and humidifiers need a common duct system to regulate your home’s humidity levels. With a ductless system, you’ll have to work with your HVAC contractor to find another solution. The efficiency and convenience of these systems does come at a price: the cost of installation and maintenance. It’s not that ductless heat pumps are substantially higher in price in comparison to other systems. Rather, it’s that you must pay for each individual air handler. This cost can definitely add up for a hefty upfront installation cost. Likewise, that means separate maintenance for each air handler. Skipping maintenance is not a wise idea with a heat pump since they’re required to work in both hot and cold seasons. On the plus side, ductless heat pumps do boast a lifespan of 20 years—5 years more than ducted heat pumps. Contact HB Energy Solutions today to request an estimate for ductless heat pump installation.